The word ‘pip’ is an abbreviation of the term ‘percentage point’, and it is the standard measurement of price movement in a currency price. In some instances, the word ‘point’ is used as a synonym for ‘pip’. For most currencies, a pip represents a hundredth of a percent, or 0.0001. To illustrate, let’s say that GBP/USD is trading at 1.4220, and a couple of hours later, it has moved up to 1.4240. In this case, we would say it has gained 20 pips. While a hundredth of a percent might seem like a very small amount to measure, there are two main reasons why this is the standard measurement for currencies. Firstly, currency prices, on the whole, don’t tend to change in value very dramatically. In fact, they can often stay within the same range for years at a time. 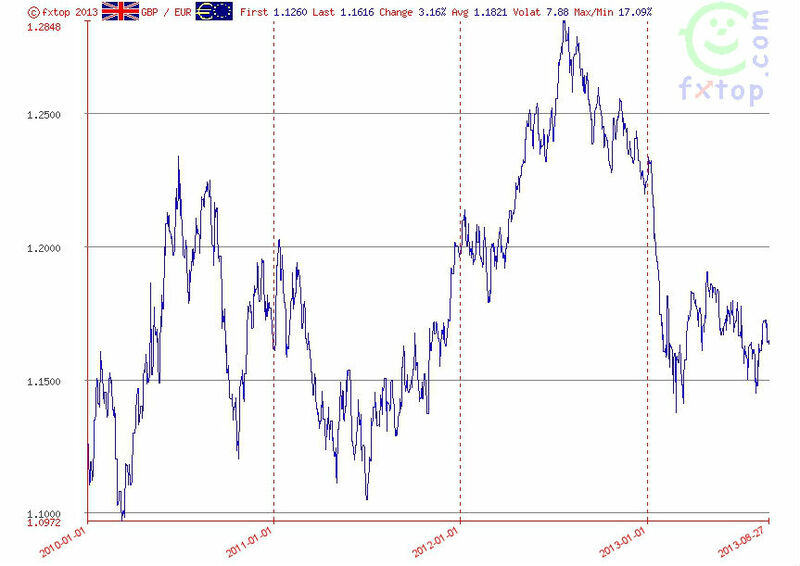 For example, between 2011 and 2013, GBP/USD traded entirely within a range of 1.1000 to 1.3000. Over the course of a trading day, it is very uncommon for a currency pair to move more than ten or twenty pips, unless there has been a particularly surprising economic release or other news. In fact, a pip isn’t even the smallest unit of measurement in currency trading. 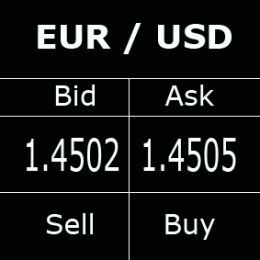 Many brokers offer prices quoted to five decimal places, such as GBP/USD = 1.34495. This last digit is a thousandth of a percent, or 0.00001. These units are known as fractional pips, or pipettes, and it is important to differentiate between these and normal pips when evaluating a trade, or you could end up getting your sums very wrong indeed! Thankfully, these are often smaller than the other numbers, as you can see in the diagram above, so it shouldn’t be too hard to spot the difference. So How Do You Make Any Money? This may make it seem like forex trading would be something of a pointless endeavour. After all, if the currency price hardly moves, how do you make money out of it? Well, the second reason we use pips is because currency pairs are traded in large quantities, known as ‘lots’. A standard lot consists of 100,000 units of a currency, for example US$100,000. While some market-making brokers will allow you to trade smaller amounts, known as mini lots (10,000 units) and micro lots (1,000 units), if you wish to trade directly on the forex market, then a standard lot is the minimum size for any trade. So, in the case of a standard lot of $100,000, a single pip would be worth $10, and a movement of 20 pips would be worth $200. In most cases, traders will not actually stake the entire lot size out of their own account, unless they are working for a major financial institution. Instead, they use leverage (also known as margin trading), which is effectively the process of borrowing the money to purchase standard lots, and then paying it back when the trade is closed, plus or minus any profit or loss from the trade. That way, the trader can make fairly substantial profits (or, if they’re not careful, losses) from small price movements without having to stake hundreds of thousands of dollars on each trade. For all of the major currencies, a pip represents 0.0001 unit of currency – with one exception. That exception is the Japanese yen, for which a pip represents 1 percent or 0.01. The reason for this is that one yen has, historically, been worth in the region of 1/100th of most other major currencies, and so is considered to be on a different decimal scale. A simple way of understanding this is to consider the yen as being equivalent to cents or pence rather than dollars or pounds. Most forex brokers will proudly state that they charge no commission on trades, and in many ways this is true. However, they are not charities – they do have to make money somewhere – and they do this via what is known as the ‘spread’. This is the difference between the ‘bid’ and ‘ask’ price for any given currency pair, and so the price has to move by more than this difference (to ‘beat the spread’, as it were) before you can make any money on the trade. The policy on spreads varies from broker to broker, with some offering fixed spreads – such as 8 pips on major currency pairs – and others offering variable spreads. 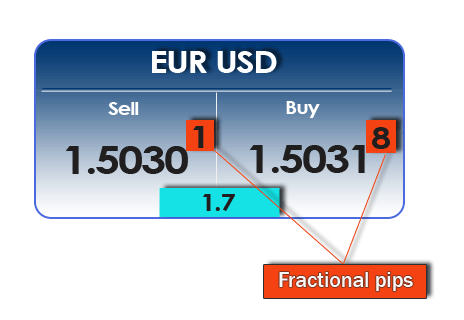 In all cases, the spread is expressed in terms of pips, and as a rule, you want this number to be as small as possible, which is why many brokers advertise themselves as offering ‘tight spreads’. The tightest spreads tend to be associated with currency pairs that are traded the most, as the increase in competition for trades forces the associated costs downwards. In general, it is the major currency pairs that exhibit the most liquidity, and therefore have the tightest spreads, while minor and exotic currency pairs tend to have lower liquidity and therefore larger spreads. This is why most traders stick to the major currency pairs, as the cost of doing business is much lower.